Ever since I was a child, security has been the main concern in my household. My parents would always warn me to walk fast in the streets, hold on to my mother’s hand very tightly and never, under no circumstance talk to strangers, and what would be even worse – accept anything from them. Strangers, in my parents’ view, were dangerous individuals who wanted to drug and kidnap me. If they offered me candy, it was just a way to lure me into their car and take me away. Indeed, security is an issue in Brazil. In 2015 alone, over 59 thousand people were murdered, 54.1 percent of whom were people between the age of 15 and 29 years old. The distrust in the government’s capacity to provide security for citizens has led to the increase in gated communities and private security companies. In her book, “City of Walls: Crime, Segregation, and Citizenship in Sao Paulo,” Teresa Caldeira describes how this process of segregation happened in Sao Paulo in the early 1990s, and how the perception of public space has changed due to this new social order. Coming from Sao Paulo and experiencing this new order first-hand, I can’t agree more with Caldeira, and that has allowed me to comment on this issue and extrapolate that into the current situation of our country. Caldeira’s work is astonishing: started in the 90s and published in 2000. Seemingly, my entire childhood is depicted in her book given that I was born in the late 80s. Sao Paulo is, indeed, a segregated city, where even some public spaces are not welcoming for certain “groups” of the population. High-end shopping malls, parks, and neighborhoods are filled with private security guards who will not hesitate to stop someone who “doesn’t belong” there, asking them questions, and in some, not so frequent, cases escorting them out. 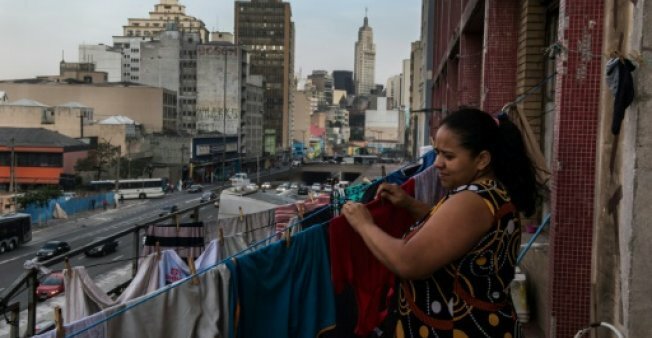 Poverty is an alien notion for the upper-class Brazilians, at least those living behind the security walls of the gated communities, where everyone has a similar background, political views, and opinion regarding the country’s socio-economic issues. They see themselves as potential victims of violence and try to protect themselves and their class members from any possible threats. Growing up in an upper class Brazilian gated community, I did not understand what poverty was. I still believe that my parents were doing the best they could by placing me and my only brother in a bubble. Understandably, they did not want any harm done to us by strangers from behind the walls. Charities were constantly done as acts of goodwill. My father would make monthly donations to several organizations that educated “underprivileged” children. We would often donate old clothes and toys, and every Christmas buy toys, clothes, and shoes that would be handed to some “poor” children in the “squatters’ neighborhoods” on the outskirts of Sao Paulo. As noble as these acts of goodwill used to sound to us, and as much as our parents told us to be grateful for all that we had and did, we were never allowed to do charity work ourselves because those children lived in “dangerous” areas. Sadly, I had never met the kids who used to receive our “gifts.”. There was no common ground between us literally. We were “us” and they were “them” belonging to different social classes. We could only wish them well or offer them gifts via go-betweens on ceremonial occasions. My view of citizenship was, still might be, completely different from another 29-year old who was born and raised in the slums. Our views of rights and responsibilities might be completely opposite and the current political situation in Brazil is a reflection of our separate realities. Perhaps, this lack of connection between diverse social classes of Brazil is where opportunist politicians are trying to make matters worse by institutionalizing a rich versus poor discourse. Surely, both sides of the spectrum see themselves as victims and have enough to add in their narratives to further distance themselves from one another. Paradoxically, we do not seem to see the poor governance in our country as a common problem to all Brazilians regardless of class affiliations. After all, the rich having to pay for services those were supposed to be public goods such as security, health, and education, and the poor having to rely on low-quality public services. This common problem should have been our common ground to pressure our governments collectively. Somehow, this common ground is our dividing line. In the end, we are victims of our egocentric politicians’ deceptive politics. They could have bridged the new generations of Brazilians. Instead, they have kept us further apart so that they continue to live off our separating realities in their own bubbles sustained with corruption. Instead of building our country and moving it forward on the basis of a strong national unity, the politicians and big enterprises, mainly the top banks, construction companies, and the super-rich are making our country and us hostages to their self-interests. We are, whether intentionally or unintentionally, divided along class fault lines. We are placed in the service of our politicians. It should have been the politicians who serve the citizens, but we seem to have gone far down a self-destructive road that an immediate return has to be done before going off-road. Above all, corruption in our government at the scale of the “car wash scandal” seems to have indulged state policymakers to create policies that are favorable to politicians and less so to the general population. As a result, we are all left in the hands of those politicians who are in favor of dividing the country even further. Hence, the future of Brazil does not look bright. The middle-class and upper-middle-class population degenerate simultaneously and the lower-class population is struggling with the lack of quality public services, while the politicians and super-rich enjoy luxurious lives at our expense. A sense of united citizenship is far from being realized unless we, Brazilians from all walks of life, rise to the occasion to move forward our country collectively. After all, we have our constitutional rights to shape our future ourselves and choose the right public servants to lift our sisters and brothers to higher heights as one united Brazilian population. Our country has the resources to merge our “separating realities” and make them one. So, we, children of the gated communities and slums, socialize on common grounds and know one another to leave no room for deceptive politicians to exploit us. 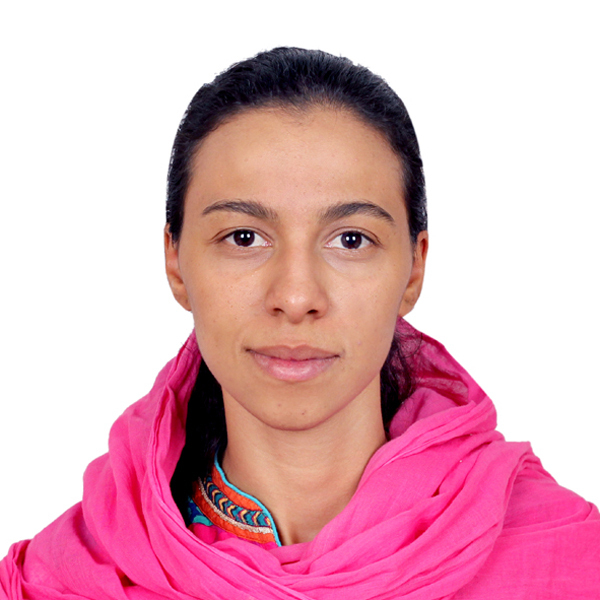 Brazilian, currently living in India, where she completed her MA in Government and Public Policy with an emphasis on Refugee Policy in South America.